To be a REALTOR, a person must have a license to practice the sale of real estate from the state in which they are selling, plus they have joined and agreed to the code of ethics defined by the National Association of REALTORS® (NAR). Marilee Murphy is a member of the NAR as well as the, Virginia Association of REALTORS®, (VAR) Northern Virginia Association of REALTORS® (NVAR) and the Dulles Area Association of REALTORS® (DAAR). Selling a home requires more than sticking a “For Sale” sign in the front yard and waiting for someone to buy it. Your home must be prepared, priced and marketed so that Buyers will be drawn to it so that it sells quickly and at the highest market value. A REALTOR® can offer an objective professional opinion as to how your home presents itself and make suggestions that will improve the overall impression which will entice more buyers. A REALTOR® will analyze the market and evaluate your home’s value in order to price it where it will get the best price the market will bear. REALTORS® are also professional negotiators who, after helping you to prepare, price and market your home, will also help you to negotiate the best possible terms for you in the sale. 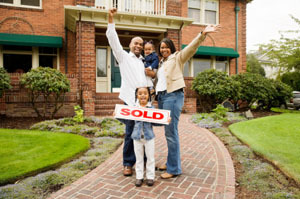 There are a number of key factors that must be considered when selling a home. All of these will determine the asking price. Personal Factors - Why are you selling now? This is a very important and often overlooked and undervalued factor when selling a home and the primary reason home prices vary within a given market. For example, someone with considerable time or financial constraints might list their home for less than market value in order to complete a sale quickly, whereas someone without those constraints will want to list at market value. Marilee and Brian Murphy will spend time getting to know you so that they understand your situation and motivation for selling and help you design your selling strategy. Property Factors – What will attract a Buyer? Location – is the home on a good lot located in an area that is desirable? Condition – is the home clean and in good condition and has it been well maintained? Would you rate your home below average, average or above average? What can you do to increase your rating? Features – how many bedrooms and bathrooms does your home have? Does it have a garage or upgrades that other homes in the area don’t have? Are there small things that can be added that will result in a big return? Market Factors – Is it a Buyer’s Market or a Seller’s Market? Competition – what else is currently on the market and how does your home compare? Competition is significantly affected by supply and demand. When the supply is high and demand is low the competition can be ferocious as Buyers have many other homes from which to compare and choose. A home should be prepared and priced to be a good value in the market. Comparables – these are homes that have sold recently. How does your home compare? What were the selling prices and how long were they on the market? Is there a positive or negative trend in pricing and days on the market? Comparables indicate what the market is willing to bear since those homes have already sold. Availability of Credit – how easy is it for Buyers to get a loan. When credit is easily obtained there are usually more buyers which increase demand. As demand increases supply will likely decrease which increases competition among Buyers and leads to higher prices. When credit is hard to obtain there are fewer buyers which decreases demand and increases supply resulting in lower prices as sellers compete to get the available buyers. Interest Rates – how much does a loan cost. Interest rates define buying power. Lower rates allow Buyers to borrow more money without raising the monthly payment. This allows Sellers to raise the selling prices without alienating the market demographic for their home. Subsequently, higher rates decrease buying power which might require Sellers to lower prices to stay within the range of Buyers.